We really love this coin. Our entire career we would always buy nice pieces when ever we could-which was not often. This piece was in our Regency 31 Sale, where we felt it sold too cheap. We had to buy it! The coin is both strongly semi-prooflike and HIGH END! In 1836, the mint made a major transition to the modern age with the installation of new steam powered presses. With this installation, the new presses could strike coins with a closed collar, which would allow for proper raised rims and reeded edges. The first half dollars were struck late in the year with only 1,200 struck for circulation. The presently offered, fully CHOICE example has semi-reflective lustrous fields. The surfaces are evenly toned with teal, dove, lilac, and tinges of original rose. The eye appeal is fantastic. Sharply struck devices stand out against the fields. A strong glass reveals traces of ancient contact, nothing that is distracting and mostly hidden under the very pretty toning. 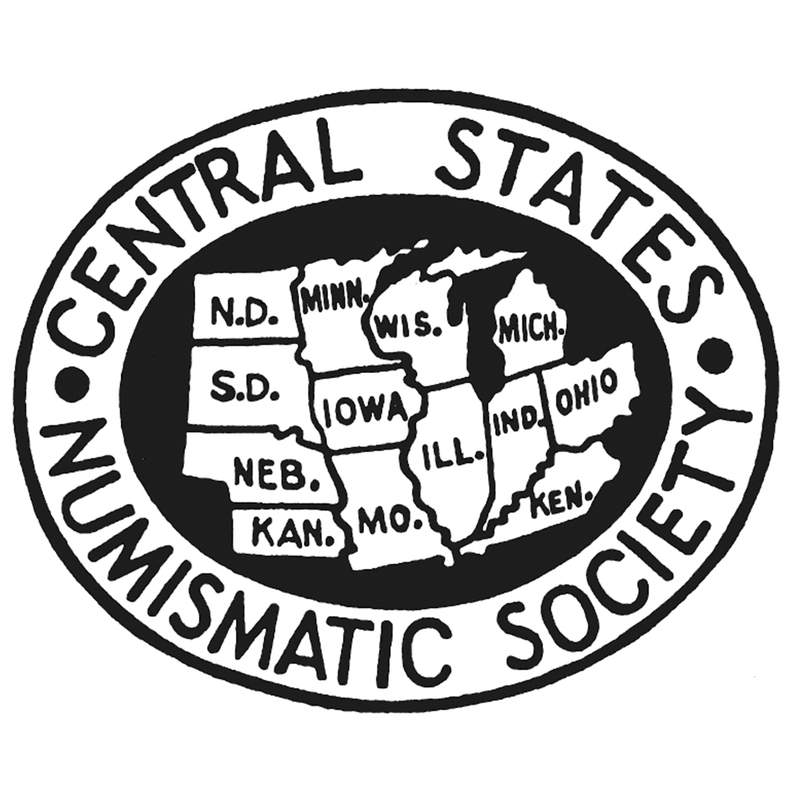 This is a classic of American numismatics, a KEY issue in the half dollar series, and in constant demand from collectors. PCGS 6, NGC 6, CAC 2. Only one CAC-approved example has ever sold in auction; the ex Gardner coin that had a GOLD CAC sticker, realized $52,875 in June 2014. 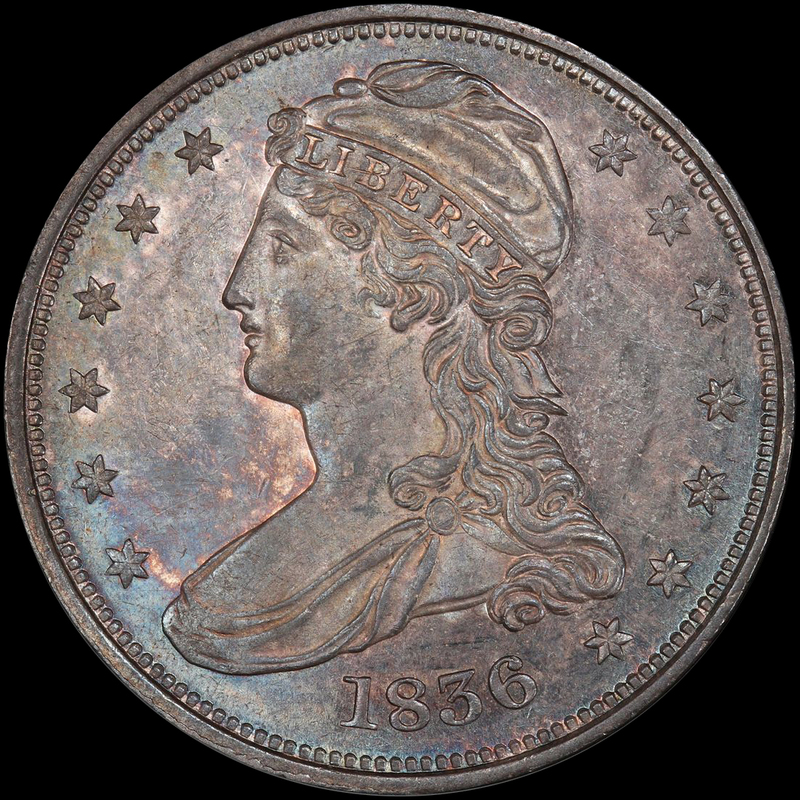 Non-CAC PCGS coins have sold since for $17,685 and $19,975. 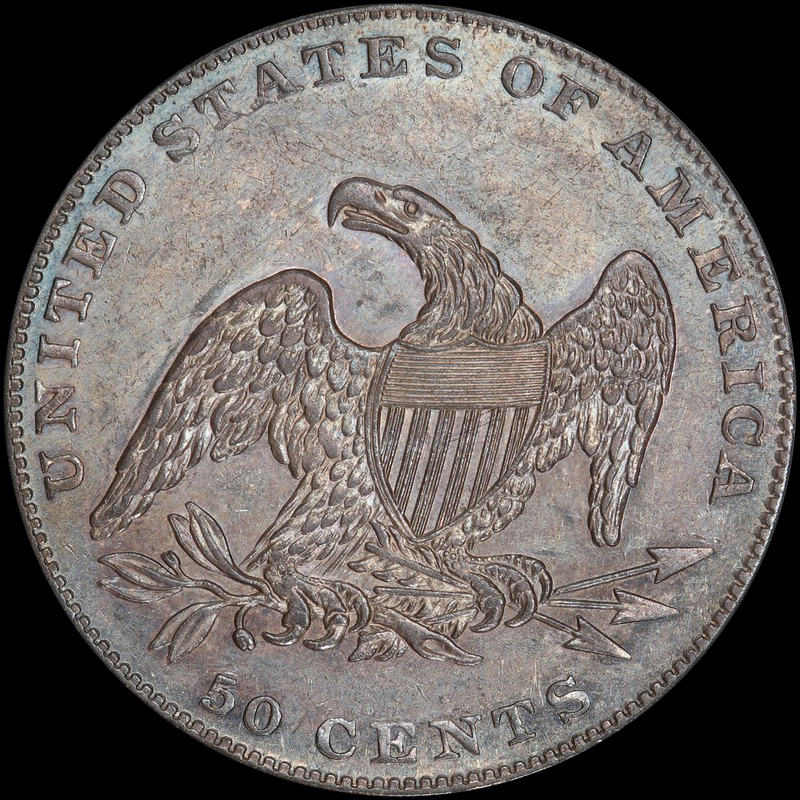 The current Collectors Universe Price Guide value is listed at $22,500, and this coin should realize a price in excess of that when the hammer finally falls. Great for a date set, or for a very carefully curated type set.